As the odds against future physicians learning everything about the human body have climbed toward absurdity, the need to concentrate on the essentials of medical education has intensified as never before. Now there seems to be time for only what absolutely, positively must be known by every physician. Basic scientific knowledge and clinical skills now rule the day, while more broadly humane subjects have fallen by the wayside, in part because they cannot be evaluated by the ubiquitous multiple-choice tests that dominate medical education. This is a shame, in part because excellence in the care of patients is intimately bound up with broader human excellences. We cannot tell by administering an IQ test or even a medical achievement examination how good a physician someone will be. First-rate physicians need to be knowledgeable and skillful, but they also need to be curious, insightful, and compassionate. They need to take real interest in patients as persons, truly enjoy getting to know them better, and experience genuine fellow feeling for those who are suffering. Such abilities are not developed by reading typical medical school textbook chapters and journal articles about diseases and their treatments. If they can be cultivated by study at all, it must be through the encounter with another kind of book, a work of literature. Some physicians learned to love such works during their undergraduate years, but many more found little time for such reading, opting instead to take another course in biochemistry or molecular biology. Fortunately, it is never too late to study what is most worth knowing. But where can physicians turn to gain insights into what is most worth knowing about the humane aspects of medicine? To assist physicians who feel the tug of such a call, here are seven books that can enrich the work and life of every physician. Few can do more to inform and deepen the humanity of medical professionals. Homer's The Iliad – Homer’s epic beautifully captures some of humanity’s fondest longings–for home, fame, and honor, as well as the unfathomable role of fate. It is especially relevant to physicians, because it also represents one of the most searching meditations on mortality ever composed. To what degree does the ineluctable fact of death nullify the significance of life and the effectiveness of good medicine? In what sense might mortality actually bring out the best in patients and physicians? The Book of Exodus – The second book of the Bible is also one of history’s most influential accounts of liberation. It inspired the American Revolution, the war over slavery, and the civil rights movement. It also explores the essential professional themes of calling and covenant, asking what it takes to establish and sustain a community of people dedicated to a higher purpose. At a time when more and more physicians are becoming corporate employees, what is really at stake in preserving medical autonomy, and what sacrifices should thoughtful physicians be prepared to make for it sake? Aristotle’s Nicomachean Ethics – The most important work in the history of philosophical ethics, It invites the reader to examine absolutely foundational ethical concepts, including the nature of the good, the means by which moral excellence is acquired, and the interplay between life’s theoretical and practical dimensions. It reminds us that merely knowing what needs to be done is not always enough to do it. Is medical ethics simply a matter of avoiding wrong-doing, and if not, what vision should guide a physician’s work and life? Augustine’s Confessions – Often regarded as the first Western autobiography, it represents one of the most probing accounts of a personal effort to discover life’s overarching purpose. As Augustine sees it, human beings can find meaning and peace only if their hearts are properly ordered with the highest things are on top. Letting the little things trump the big ones, a perennial temptation in contemporary healthcare, means leading an upside-down life. What might the “confessions” of contemporary physicians look like, and how might serious self-examination lead them to reorder their priorities? Dante's The Divine Comedy – This masterwork of poetry reminds us that persons, events, and ideas can have multiple meanings, including historical, scientific, moral, and aesthetic dimensions. Dante’s message is especially important at a time when the imperative to practice medicine efficiently threatens to render patient contact ever more one-dimensional. What would visits to medical “hell” and “heaven” look like today? Who would physicians meet in each place, and why? 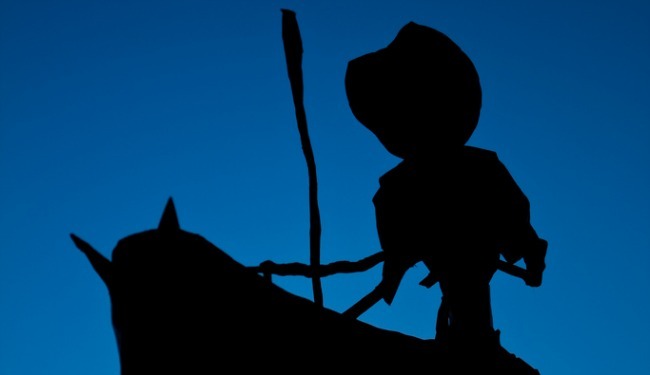 Cervantes' Don Quixote – Cervantes had known life as a church official, a soldier, a prisoner of war, a slave, and a playwright by the time he wrote his masterpiece, which was published in two parts. This first and perhaps greatest novel provides our most powerful reminder that joining a profession is not merely a matter of trimming our vision to fit the fashion of the day. It draws physicians’ attention to the professional responsibility to dream big and take risks in bringing dreams to life. Swift's Gulliver’s Travels – Swift skewers human pride in bodily endowments, dreams of conquering nature, and all pretenses of moral perfection. Let’s face it, if physicians do not crack a smile and even chuckle once in a while, they must not be paying attention. No work in the English language has better captured the laughable dimensions of human pride run amok. What physician would not benefit from catching at least an occasional glimpse of himself or herself in Swift’s satirical mirror? Human beings are powerfully shaped by the company they keep, and physicians can ill afford to spend all their time with medical journals and textbooks. Medical excellence requires human excellence, and the human side of the physician needs to be fed no less than the scientific and technical ones. These books offer us some of the deepest insights we can hope to attain, at least as readers, into what it means to be human. And this is precisely what physicians most need to discover and regularly reacquaint themselves with, at least if they are to practice medicine at its best.